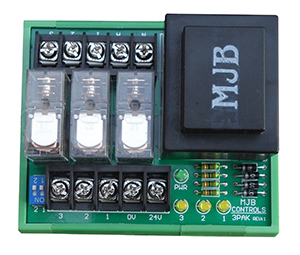 The MJB Controls 3PAK has been designed where 240V equipmen t must be controlled by a 24V thermostat or equivalent device. 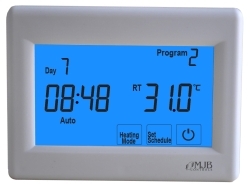 This simple to install interface module provides total voltage isolation between the equipment (High Voltage) and controller/thermostat (Low Voltage). Commonly known as AC Drives, Variable Speed Drives, Frequency Converters, Frequency Inverters etc. Used to control the speed and torque of electric motors. Common uses can be found in conveyors, irrigation pumps for parks and agriculture, bore pumps, water treatment, cranes, lifts, fans, car park ventalation systems. The MI9100 series of VSD's are manufactured to and have obtained the following standards CE, SGS, ISO9001 and C-Tick. The MI9100 series of variable speed drives are a multifunction, high / constant torque type VSD which employs vector control to provide excellent cost to performance characteristics.